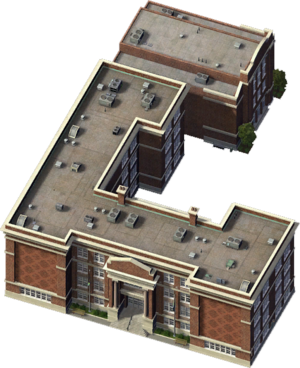 The Large High School is a Civic Reward Building that provides Education to your Young Sims that was added in the Rush Hour Expansion Pack. In High School rankings, only the High School is inferior. Combined Residential Population in excess of 6,000 Sims. This page has been accessed 8,284 times.